Colombo, Jan. 30 (Xinhua) — The Chinese embassy in Sri Lanka has released a guidebook offering consular protection and assistance to Chinese nationals visiting the island country. 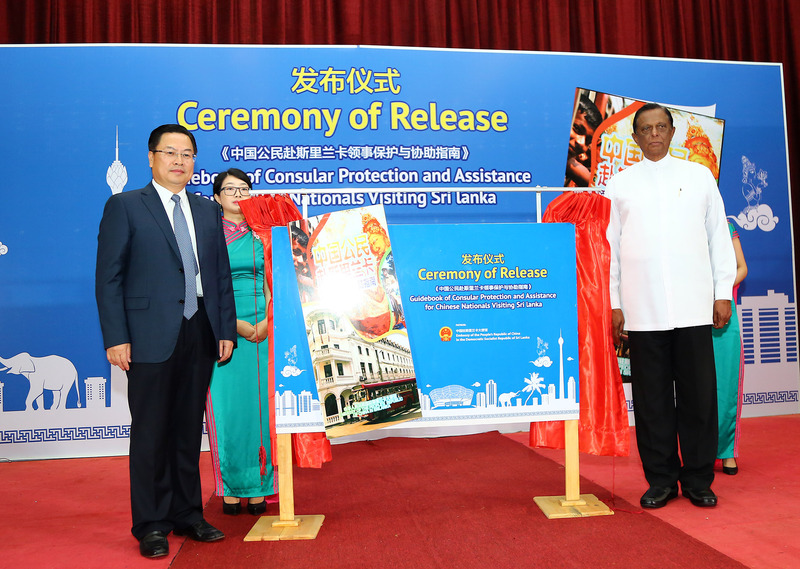 In a ceremony held here on Tuesday, Chinese Ambassador to Sri Lanka Cheng Xueyuan unveiled the book together with Sri Lanka’s Minister of Tourism, John Amaratunga. “As you all are aware China is the second highest source of tourists to Sri Lanka. Last year we welcomed 266,000 Chinese tourists to the country,” Amaratunga said.